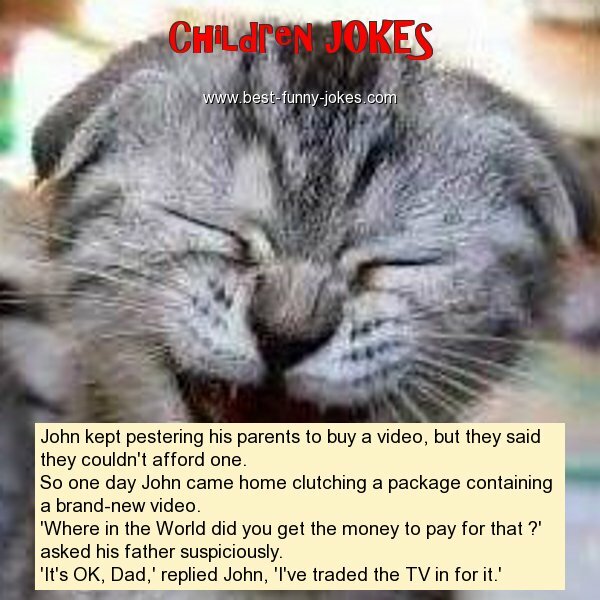 John kept pestering his parents to buy a video, but they said they couldn't afford one. So one day John came home clutching a package containing a brand-new video. 'Where in the World did you get the money to pay for that ?' asked his father suspiciously.